The day we landed in Hanoi, my friend and I quickly searched for a stationary shop in Old Quarters and bought some stationary (school supplies) for the children at Mai Chau, HoaBinh Province, Hanoi. Dien was waiting for us, even after the office had closed, to collect the supplies. 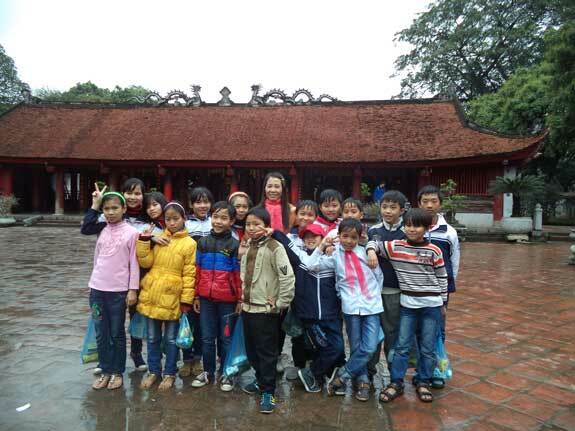 We visited Ho Chi Minh, Hanoi and Halong Bay and we loved Vietnam, especially the people. I would like to thank Pack for a Purpose and Dien Pham who gave me all the required information to support the needs of their project. All the best and keep up the good work.